Star One Realtors sales associates, staff and management team continue to plan to give back to give to the communities where they live by working with numerous organizations to volunteer their time and service. 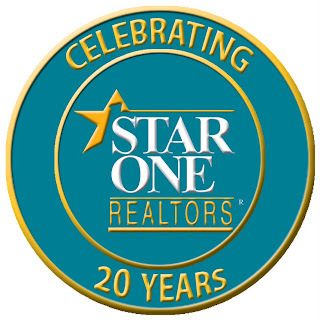 Beginning with People Working Cooperatively, Repair Affair on May 14, Star One agents, staff and family members will assist those in need repair their homes throughout the communities. And we are also strengthening our participation in organizations that directly affected our families at Star One such as George Hollenbeck’s Blood Drive, Sophie’s Angel Run, LCPL. Taylor B. Prazynski Memorial Walk/Run/Roll and again with People Working Cooperatively with Prepare Day in the fall. Star One will step back and look at the many memories with a fun celebration with our sales associates, staff and management team at the new Holy Grail in May. When we started Star One Realtors 20 years ago we did not realize that we were creating a “family”. We are fortunate we did. We are excited about our future as every year brings more memories.